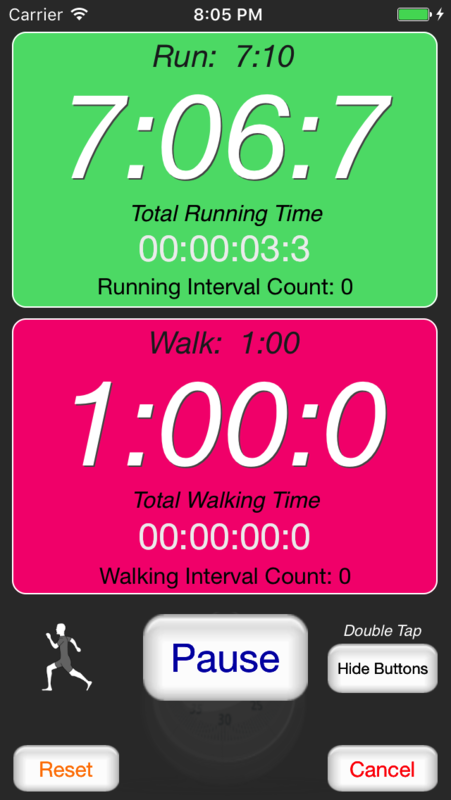 Built to be simple to use yet versatile, this interval timer app is made for runners that use 'Run-Walk' intervals. Clean and simple! Be up and running in less than 10 seconds! With build in sound indicators that indicate when to run and walk. NOW with over 11,000 downloads! Runs in background and lock/sleep mode. Sound alerts to indicate when to run and walk. Option to prevent device auto-lock while timers are running.